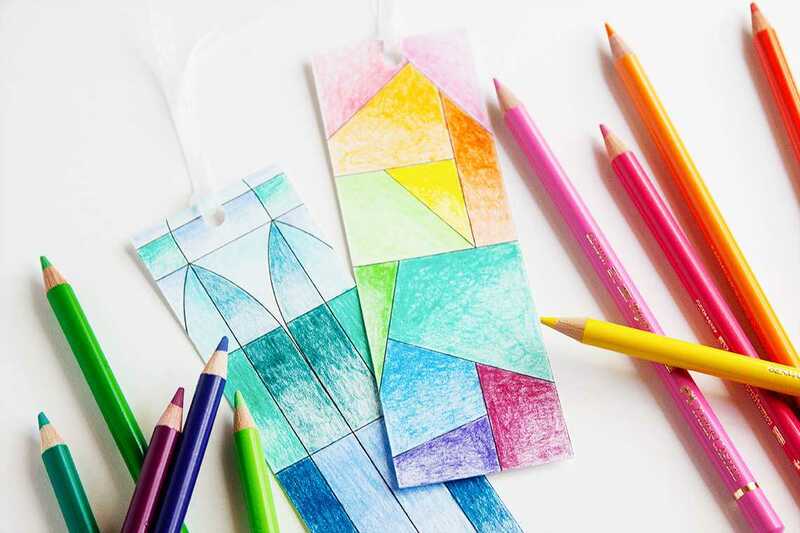 These stained glass patterned bookmarks are a fun coloring project for kids and adults alike. 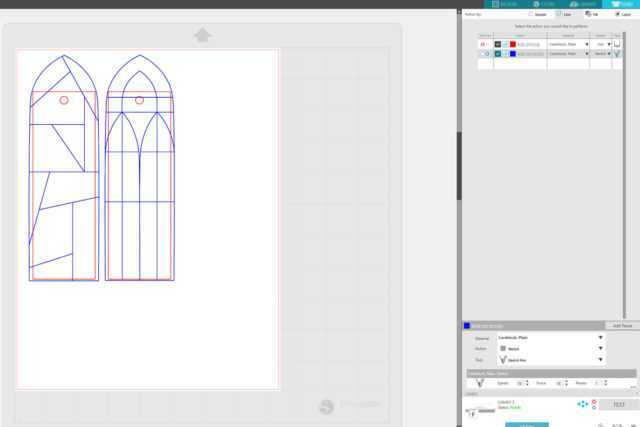 Quickly and easily create the designs using Silhouette’s sketch feature and color to your heart’s content with colored pencils, crayons, and more! Use the Draw a Rectangle tool to make a 2-inch wide by 6-inch tall rectangle. Use the Draw an Ellipse tool to make a .25-inch circle (optional, if you want to add ribbon or twine to the bookmark when it’s finished). You can skip this step if you choose not to add the circle hole for the ribbon. 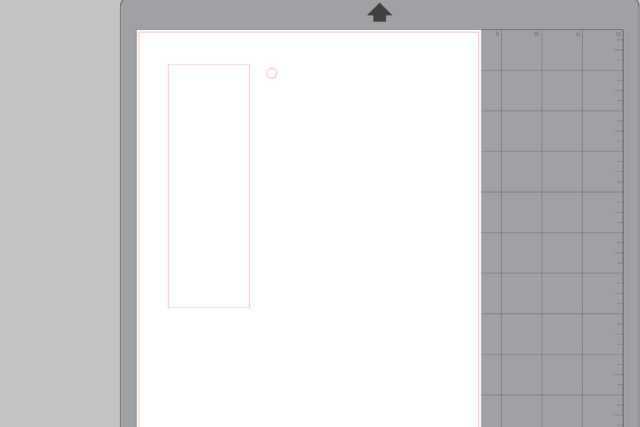 Open the Transform panel, select both the rectangle and circle shapes, and center align them horizontally. While both shapes are still selected, press Control or Command + G on your keyboard to group the two shapes together. Open the design that you’ll be using for the bookmark (I used Design ID #101574, which includes sketch versions), ungroup the shapes, select a sketch shape, and press Control or Command + C on your keyboard to copy the shape. 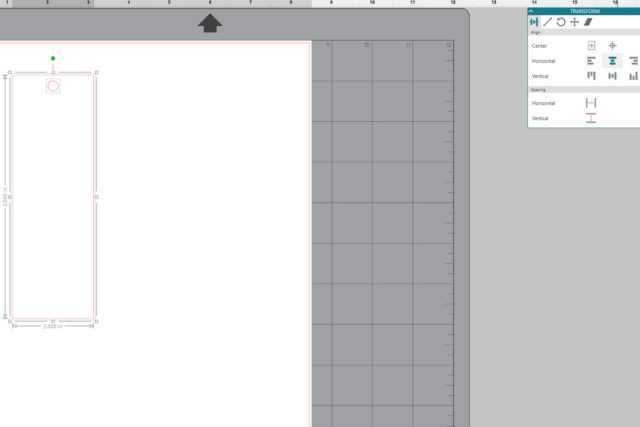 Click back over to the document with the bookmark base and press Control or Command + V to paste the shape. After pasting the shape, make sure it’s still selected and open the Line Style panel. Click on the tab with the colored lines and select a line color for the shape that’s different than the line color on the bookmark base. I chose a shade of blue. Open the Transform panel and click the second tab from the left (the diagonal, double-sided arrow) to open the Scale panel. Scale the sketch shape to 150% then hit the Apply button to apply the changes. In this case, I made the design slightly bigger than the bookmark. Since we’re sketching, not cutting the stained-glass lines, it doesn’t matter that the design overlaps the bookmark because anything outside the bookmark lines will not be on the bookmark. When all of your bookmarks are ready to sketch and cut, click the Send button, and then go to the Line tab. Change the cut settings for the bookmark base (red line) to match the material that you’re using. Then change the action to Sketch and the tool to Sketch Pen for the sketch shape (blue line) and change the tool to the blue (right) tool. Place a cutting blade into the red (left) tool slot in the dual-carriage, then place a sketch pen into the blue (right) tool slot. 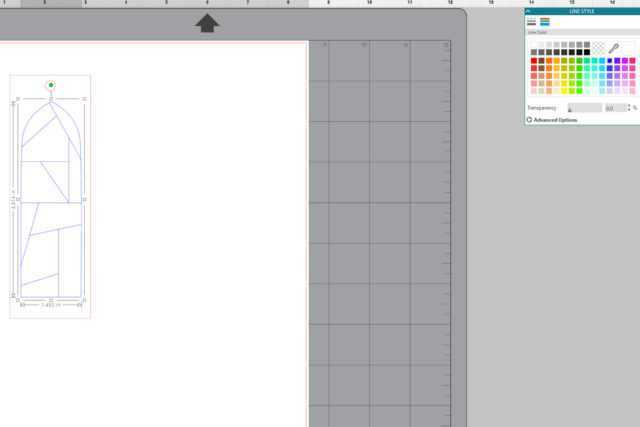 Then press the Send button in Silhouette Studio to cut and sketch the bookmarks. 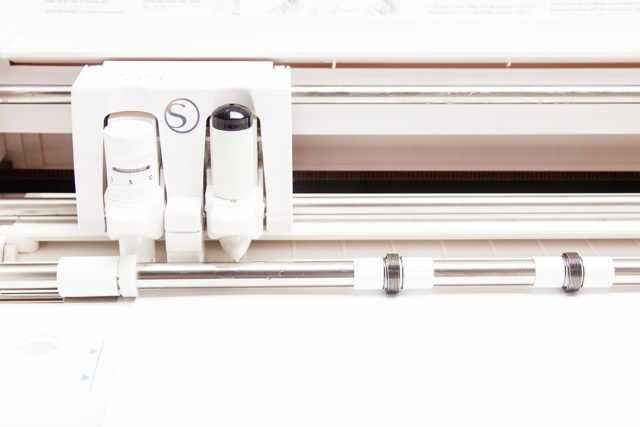 If you’re using a machine the doesn’t have a dual carriage, you can make two separate passes with your machine, one with a cutting blade and one with a sketch pen. Step Five: Color, Color, Color! 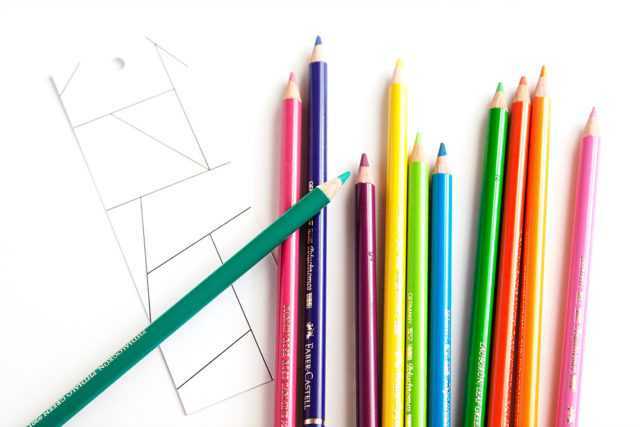 Color the bookmarks with colored pencils (what I used), crayons, markers, or colored pens. To finish, loop ribbon, twine, or yarn through the hole at the top of the bookmark (optional). Your tutorials are so helpful – both with giving ideas of what we can do with the silhouette and easy to follow steps to accomplish them! Thank you, Kari. 🙂 I’m so glad that the tutorials have been helpful for you!